Both of these A3 retail units have been completed by the practice as part of wider retail developments for the same client. The first unit in Trafford was a standard ‘red hat’ format that was built on an existing retail park that had been trading for a number of years. 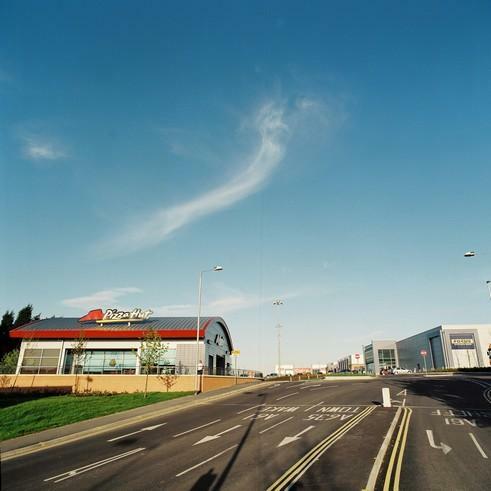 This meant that walling materials were scheme specific and construction took place in a controlled ‘public’ zone with the remainder of the retail park trading throughout. The second unit built in Barnsley, was on of the first barrel vault roof projects sought by the operator as they sought to move away from the red hat format. Both schemes whilst simple in form were reliant upon a good working relationship between Bate and Taylor and the tenant’s agents, particularly on the second scheme which was virtually a prototype that evolved during construction.